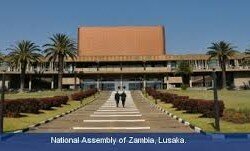 THE office of minister does not fall vacant after dissolution of Parliament because Article 116 (3) (e) of the Constitution of Zambia allows for continuation, President Edgar Lungu has said. And President Lungu said the amended Constitution does not provide that when a minister is appointed and then transferred to another ministry he or she should be sworn in after having taken oath in the first appointment. “If I appoint you as minister at State House and I transfer you to be Lusaka Province minister, it does not mean that you have to take a new oath,” President Lungu said. The Head of State said the Constitution allows ministers to continue in office in order to ensure that there was no break in the delivery of service by the executive arm of government. Addressing a State of the Nation news conference at State House yesterday, President Lungu said Government was at all times expected to function. He said Article 116 (3) provides that the office of the minister only becomes vacant if another person assumes the Office of President. President Lungu said Article 116 clearly indicated that the above function was the preserve of the minister, and not permanent secretaries. “It is, therefore, my considered view that the Constitution of Zambia allows ministers to continue in office after dissolution of Parliament in order to ensure that there was no break in service delivery and smooth handover to the next executive,” he said. The Head of State said he had ‘‘seriously interrogated the law’’ and had decided in the interest of governance to continue running Government with his Cabinet. “Considering that the President is part of Parliament, one would think that the President should vacate office upon dissolution of Parliament. However, this is not the case because there are other provisions of the Constitution that allow for the President’s continuation in office. “Article 104 of the Constitution allows the President to continue in office until the new President is sworn in. The Constitution also allows the Vice President to continue in office after dissolution of Parliament,” President Lungu said. And President Lungu said all those who were suggesting that ministers should vacate office upon dissolution of Parliament should go to court if they wanted and that he was ready to argue with them legally.